Well, yes, yes, I do! And for you inquiring minds, I’ll tell you why! I blame First Night Alexandria for my love of George Mason Men’s Basketball. A few years back (post-2006 Final Four run fame) I went to help Mrs. First Night do some visibility on the concourse of a Mason game for the biggest New Year’s Eve party in the area and as we were setting up our table I recognized the announcers voice. I went inside the arena a little more and realized, “yep, that’s John!” Turns out (how I did not know this ahead of time, I will never know!) that the Public Address announcer for the George Mason Patriots men’s (and sometimes women’s) basketball team is none other than the great and fun dad to three kids whom I have babysat for since their oldest was born. (He’s now finishing his sophomore year at Ohio State!) John’s been the announcer at Mason for twenty-four years now. Somehow I became hooked, got looped in with a ticket sales guy that night and the rest is history. I proudly sit in section 118 at every home game with my dear old dad who probably never ever thought he’d see the day that his daughter likes sports, much less enough to buy season tickets and actually GO to games religiously! We have a lot of fun and have met a lot of really cool people along the way. By the way, some nights I go more to hear the Pep Band & see the Director’s outfits. That’s Doc Nix & The Green Machine. Doc, who went to Michigan, small world! Here’s a sample of what you’d see and hear. 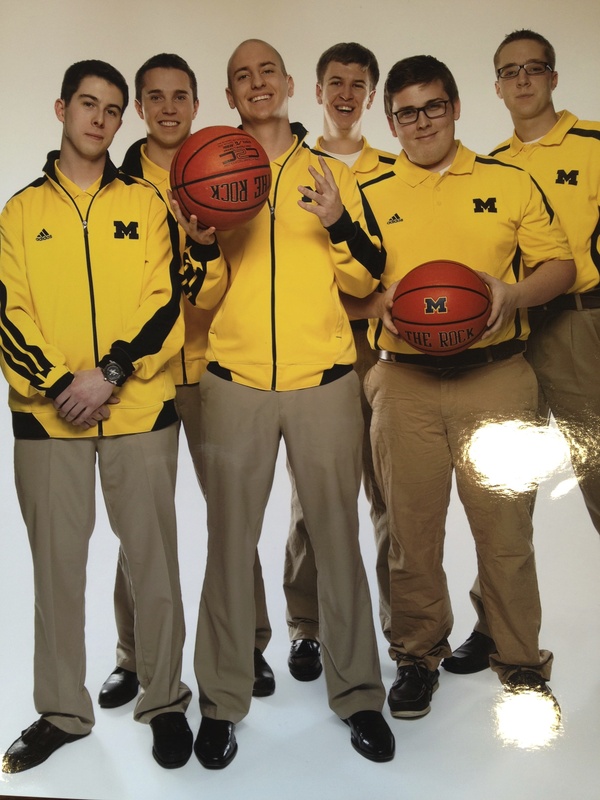 Denard Robinson, of Michigan’s football team fame, was fun to watch during Dan’s four years, but nothing compares to the boys Dan worked with and for on the basketball team while in Ann Arbor. They are a-maizie-ng to watch and will all go far. “The Team. The Team. The Team.” They work together like a team, they play like a team and they WIN like a team. Michigan is in the Elite 8 for the first time since the ’93-’94 season. Michigan will face No. 3 seed Florida, (ironically, where my sister went!) on Easter Sunday, March 31st, for the South Regional championship and a trip to the Final Four. The game will tip off at 2:20 p.m. EST and be televised by CBS. Michigan is the only Big Ten team left in the 2013 NCAA Tournament. You should watch, you won’t be disappointed. Dan, my baby brother & Senior Manager, is on far left., as seen in ESPN Magazine. Inspired & in awe, I took the bait and said, “OK, yeah, sure, I’m game, let’s go see her play.” So last year during the CAA Women’s Tournament we went to introduce ourselves to the phenom that is the 6’5’’ Elena. “E Double D” as some sportscasters call her. (I know this because now I even listen to games on my I Heart Radio app on 1290The Ticket, when they aren’t on TV or the computer.) We road-tripped to the Show Place Arena in Upper Marlboro, Maryland and sat in what felt like a horse stable and watched the Fighting Lady Blue Hens. Amazing doesn’t cut it when describing what we watched. Simply beautiful basketball played by a “tall glass of water” and her teammates. One of which is named Lauren, so I thought that was pretty cool! Needless to say, they won. So, we went the next day, and they won again. As we were walking to the car my dad said “Welp, I guess we better come see them win the tournament tomorrow!” So, we did! Seriously, yes, I went to three days in a row of women’s hoops! I had never seen such jubilation. I got to watch them cut down the net, sport championship t-shirts and hats, it was great! I love a good victory so this was heaven for me. I felt guilty celebrating with them after 1) not playing and 2) never following them until now, but whatever, it was hard not to revel in their excitement. 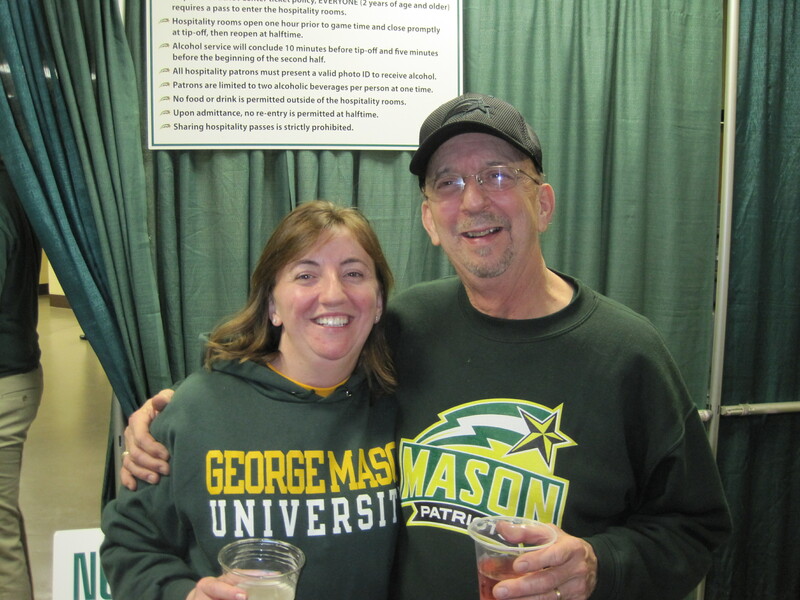 When the Lady Fighting Blue Hens came to play the George Mason Lady Patriots at the Patriot Center – we were there, in fact, Dad got a whole posse of friends to come, convincing them: “Guys, you’ve never seen anything like this!” A fun night. I event went *solo* to Towson University this year to watch her play there. Made a fun new friend there, Grace, who did the same thing! 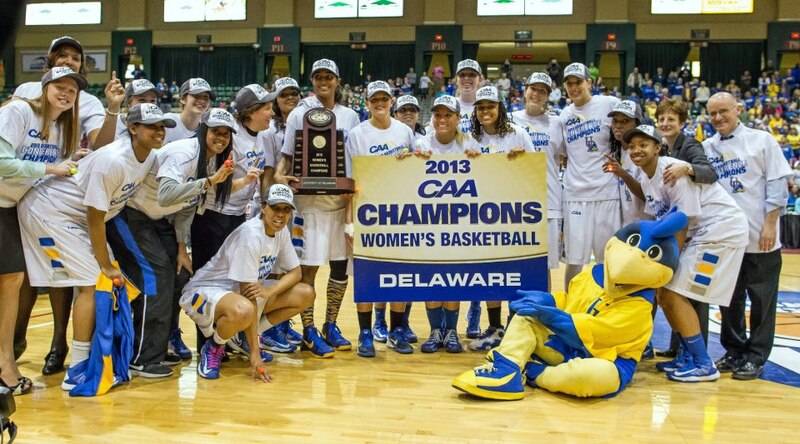 When the CAA Women’s Tournament returned to the Show Place Arena this year, I bought tickets to every round of play and we were there for every win. A fun fact: we played UNC-Wilmington in the first round and 5 women started that game and never sat on the bench. Yep, the same 5 ladies played all 40 minutes! No subs in…. ever! How often do you see that? Very needless to say, it was like déjà vu watching the Fighting Lady Blue Hens put on championship hats and t-shirts that say “Cut The Net” and then watching them do just that! So very exciting! Next up, they went on to play in the NCAA Women’s Tournament with a number 6 seed. Lucky for the ladies, “the Bob” (their home court, the Bob Carpenter Center) was the venue for the first two rounds of play in this years tourney. They beat WVU handily, they beat the UNC Tar Heels handily, and by handily I mean Elena scored 33 points at each outing and against UNC topped the 3,000 career-point mark! Today, sadly, the festivities ended when they lost to the Kentucky Wildcats, but…. guess what…. Elena scored 33 and surpassed 3 other ladies in the career-high points earned category. Ending her college career with 3039 points, she passed Moore, Holdsclaw and Miller who have 3036, 3025, and 3018, respectively. Elena also shot 11 for 11 (her jersey number) from the free throw line as well, today! Not too shabby! It was hard to see her try to not break down emotionally with the sideline reporter at the end of the game. Congratulations on a job very well done, Elena Delle Donne! Exhilarating to watch you and your coaches and teammates get the job done! Their Best for My First! I can’t believe I’m about to tell you that I’ve lived in the Washington DC area practically my whole life and have never been to a Washington Capitals game. Ever. I never thought I’d admit this, but, I went and I think I’m officially hooked! Again with the whole “membership has its privileges” thing: a client took me because her season-ticket holder husband was out of town and now…I’m addicted. So much so, that another client is lined up to take me the same night next week! It was a history-making night. I’ll chalk that up to my being their good-luck charm, or maybe was it that they were just showing off for me, so I’d get hooked that much faster!? 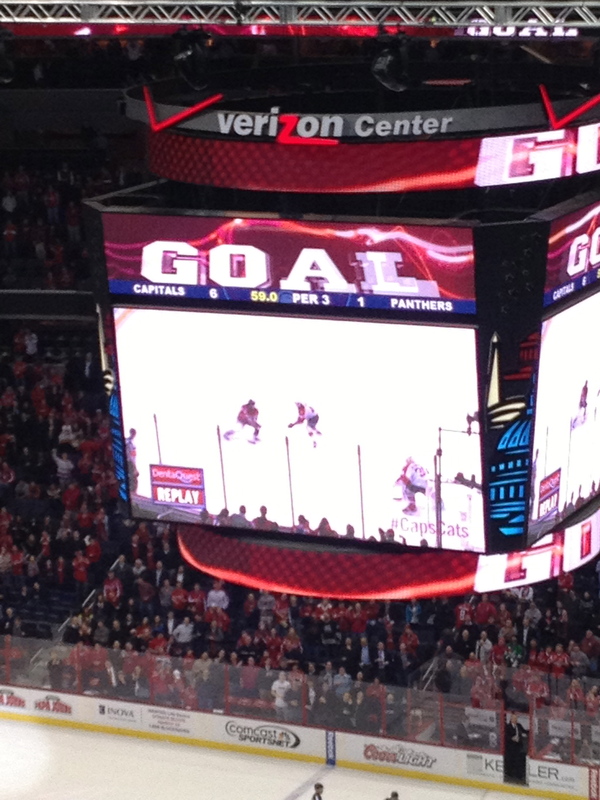 But, I have to say, I can’t imagine a hockey game is EVER boring, tonight certainly it was NOT! While both of these busy fabulous females were fashionably late, and still managed to show up “Rocking the Red,” the Caps were busy showing off before we even got to our seats! 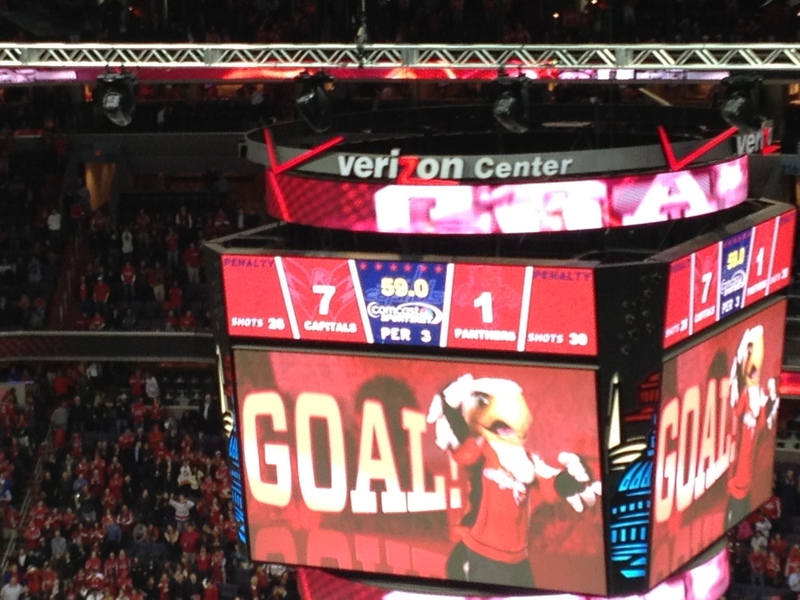 According to the Washington Post, whose sports section I never pause in to read about a hockey game: “The Capitals scored four goals in that opening 8:10 — the second-fastest span to four goals to open a game in franchise history — and the start paved the way for a thorough 7-1 drubbing of an injury-ravaged Florida squad.” Those who know me know that I love a good history-making event & a good victory, tonight we witnessed both! Thank you, Kim! You ROCK!…The Red & in every other way – the gelato (also a first for me!) was yum, too! Kim & LES Rock The Red for Jackson! 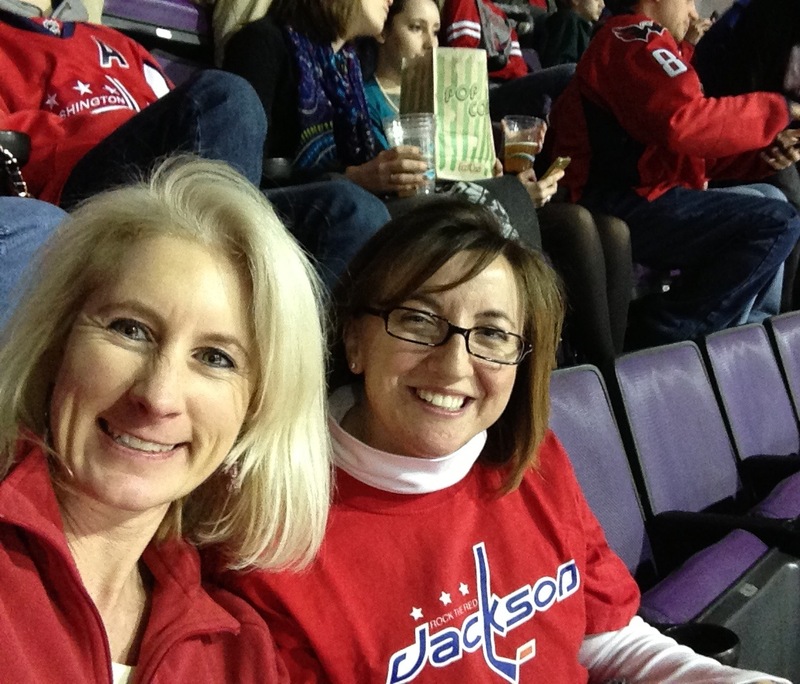 Speaking of rocking the red, you’ll notice my t-shirt says JACKSON instead of CAPITALS. That’s because I have rocked the red for Jackson for many years. He & his little brother are the littlest & biggest “C-A-P-S! CAPS! 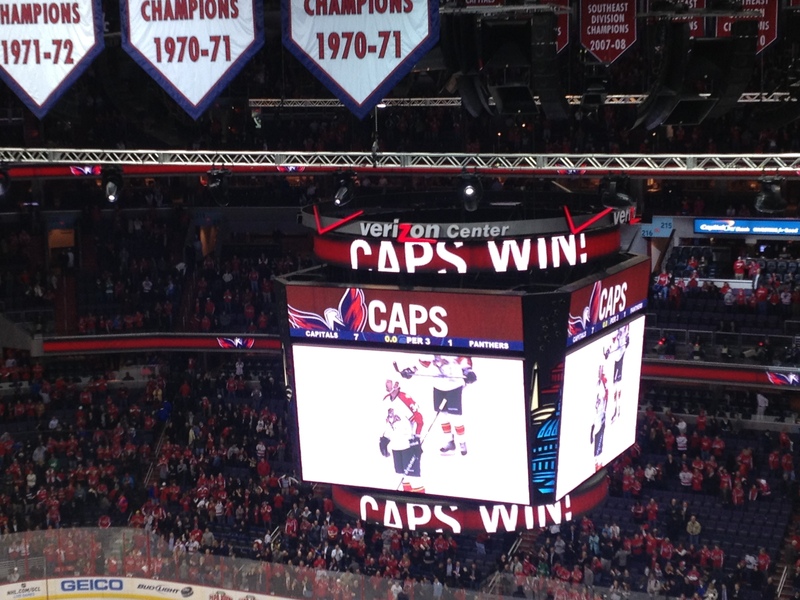 CAPS! CAPS!” fan I know! Here’s the most fun clip ever of these little guys. Now I’d be lying if I didn’t watch and say “ok this makes me want to go see what it’s all about!” So, thanks, boys! GOALLLLLL! Making it a half a dozen to uno! See about 0:08 and beyond! He’s in khakis doing the happy dance, you can’t miss him! 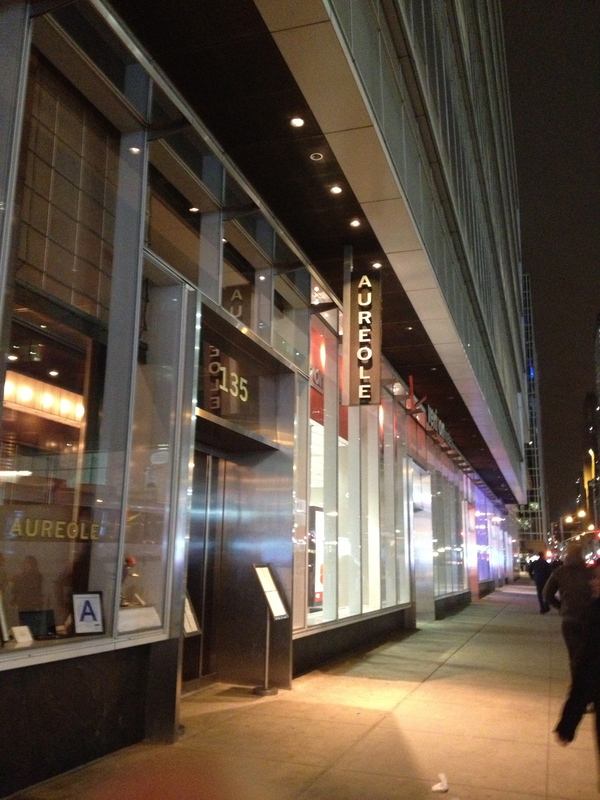 Moving on up….to the West Side! I used to believe “it’s all about who you know” only applied in Washington. 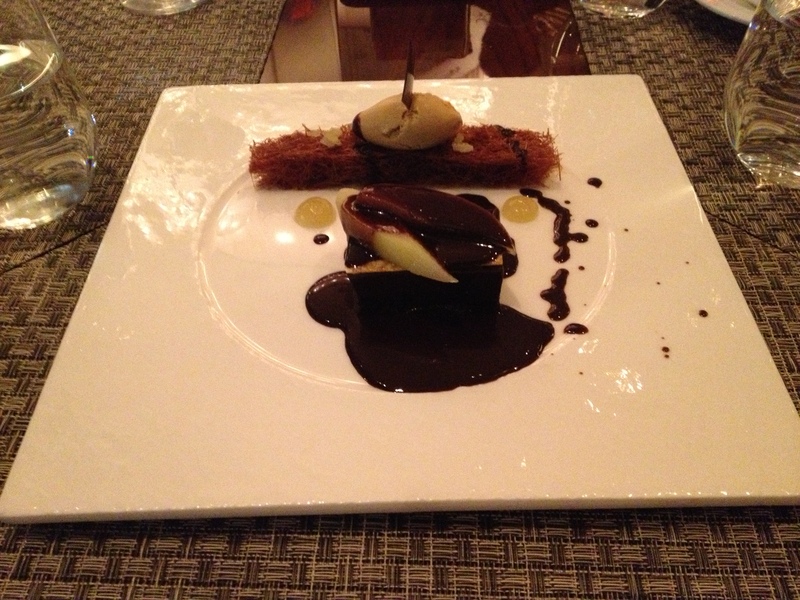 A client that I work with & for in Old Town Alexandria hooked me up this week that I am in NYC and not in her office. How nice of her! 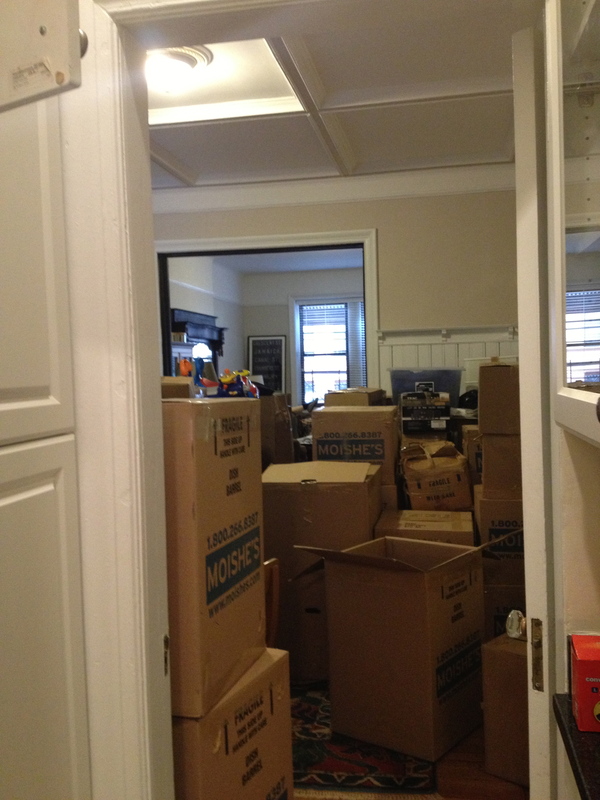 See, her sister and brother-in-law were moving this week within the Upper West Side. Who couldn’t use an extra set of hands on moving day & the day after? Do More with LES to the rescue! We exchanged emails & I was able to traverse The Park on the bus and unpack their entire kitchen for them. Secretly, I might have only been in it for the NYC condo-tour. I couldn’t wait to see how the livin’ is on the West Side! I’ve only ever shopped there, but now it’s official – I could live there! Their condo is beautiful and their kitchen is now fully stocked! It all started coming back to me. 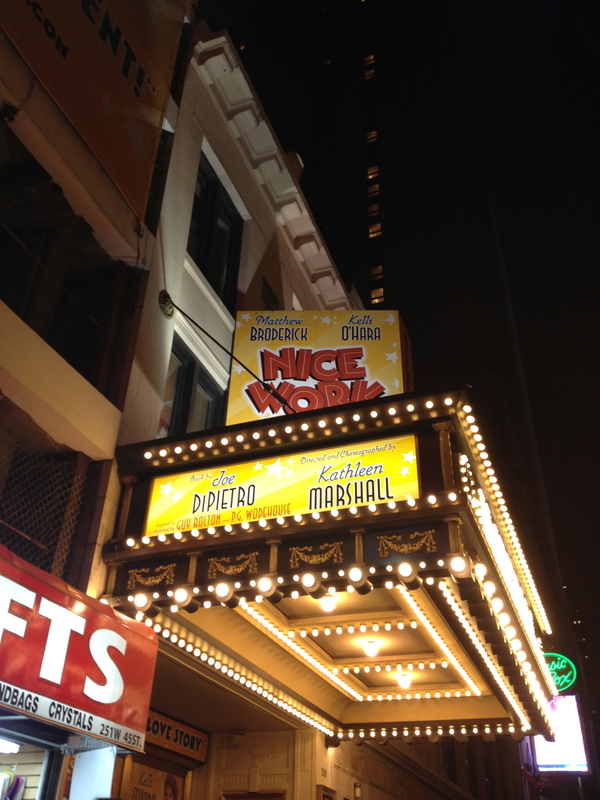 When I had asked my Old Town boss what to see while I was in NYC she said I had to go see “Nice Work If You Can Get It”. Now I get why! I am unpacking the kitchen of the Director & Choreographer of that show!!!! Awesome! So, I hopped on the Subway (which I’ve close to mastered!) 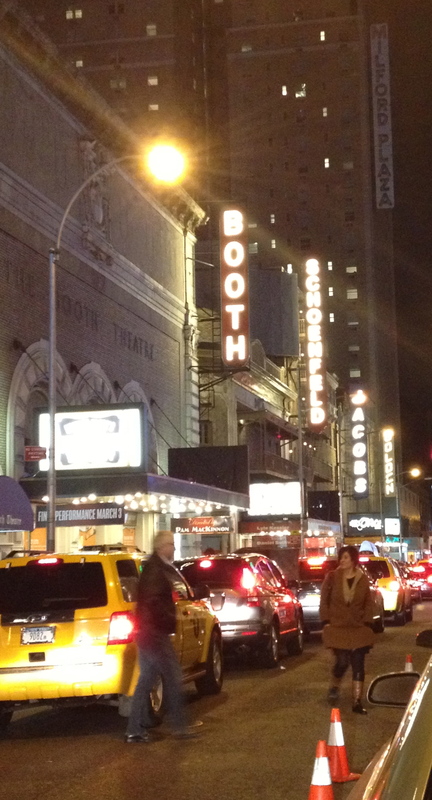 and went to Broadway on Friday night! 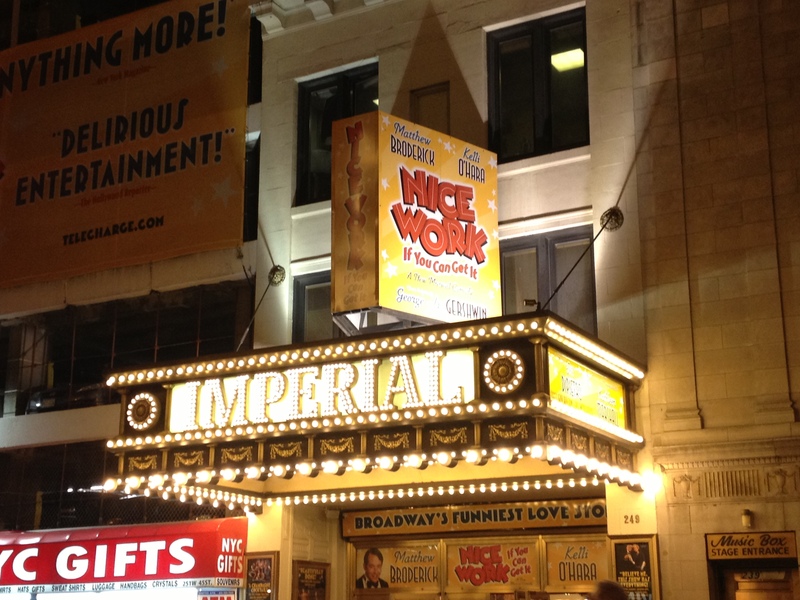 It was a fabulous show, a lot of fun, terrific choreography and an overall great time! Matthew Broderick was too fun and Blythe Danner was an amazing surprise! Thank you to ALL of my clients who hooked me up, who are surviving without me and who paid me before I headed here! A special thanks and shout-out to new and old clients here in NYC especially….even if some of you are at Club Med right now! I went out with a long-time family friend, Mary, this week and we went to a fabulous restaurant on 42nd Street between Grand Central Station and Times Square. This is may be the first time I dined with friends who I hardly EVER see and took pictures of NOT US, but the food instead! 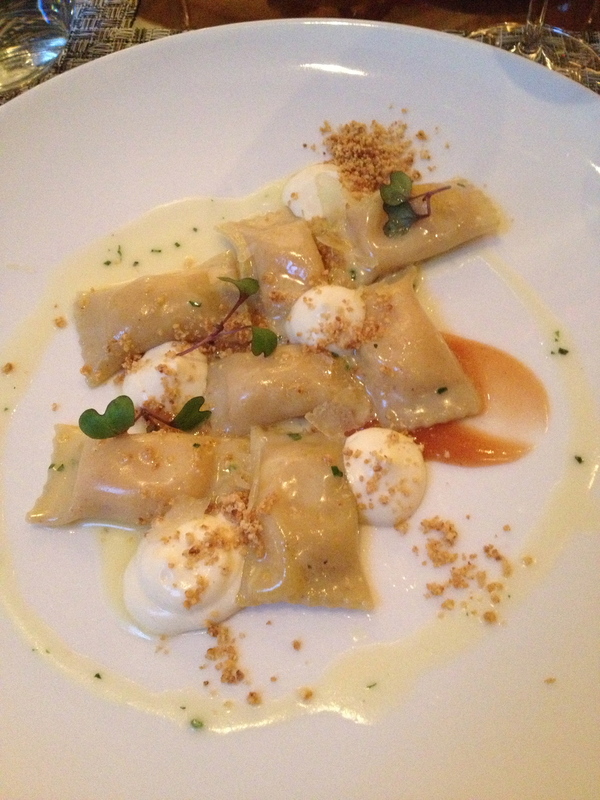 And usually I can’t stand food pics, but these were too good not to be photo-worthy & shared.